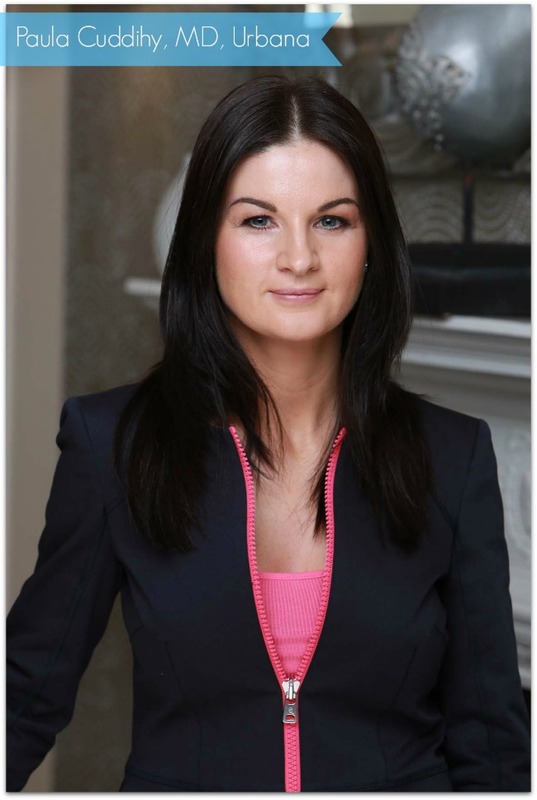 ONE We would recommend going to a dedicated hair removal clinic that specialises in Laser Hair Removal. Make sure that they insist on you attending for a consultation and that you are patch tested on the area you are having treatment before your sessions start. This will ensure that you are suitable for treatment and that your skin will not react with the laser. TWO Look for a clinic using medical grade 4 lasers to ensure you receive the best results in fewer sessions; lasers are 3 times more powerful that IPL’s and are more specific at absorbing into Melanin (the brown pigment contained within your hair) they also penetrate deeper into the hair follicle to target the hair. THREE Stop all forms of hair removal other than shaving 4-6 weeks before your first session to ensure your follicles are full of hair; this will ensure you receive the best result from your treatments. You can shave throughout your course of treatment and it is the only method of hair removal you can use. FOUR Try to keep your skin as pale as possible, this is really important as your treatment goes on because the amount of energy that is used increases after every treatment you have. Laser loves anything that contains melanin that is why laser will only work on brown or black hairs. If you tan your skin the laser can’t tell the difference between the pigment in the hair and skin, so will heat up both- this leads to pigmentation which will fade over time but looks unsightly. FIVE You can wear fake tan throughout your course of treatment (I think I would be out of a job if you couldn’t) but your skin must be free from tan on the day of your treatment. Laser will see fake tan in exactly the same way as a real tan so again in order to keep your skin safe we would recommend not using fake tan in the week leading up to your session. SIX It is important that you come back for treatment in the timeframe recommended by your therapist. This is to ensure that we catch as many growth cycles of hair as we can and means a much better result long term. The length of time between treatments does increase going from a 6 week interval initially to gaps of 3 months towards the end of your sessions and eventually to once or twice a year. SEVEN The result you achieve from laser does need to be maintained. For some people one to two sessions a year would be the norm; for others it would be once every two years. It all depends on the person and if underlying issues are the root cause of their excess hair growth. Someone who had an underlying hormone condition like PCOS would probably need more maintenance sessions but the results would make it all worthwhile. EIGHT Before treatment, lightly exfoliate the area 4-5 days beforehand, and close shave the area the night before your session - take your time and use a good quality blade and shaving cream. Ensure your skin is free from all traces of tan and topical products (oils, creams, lotions etc) before your treatment. 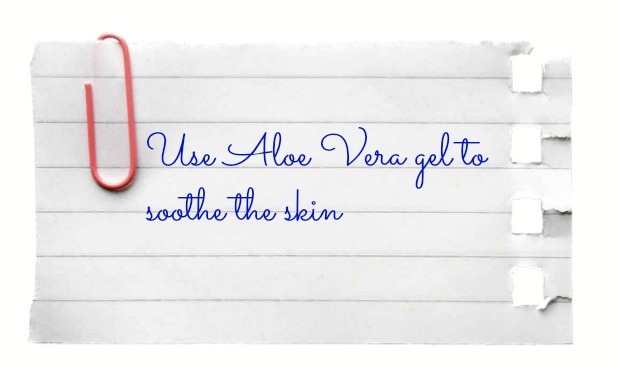 NINE Directly after treatment, use Aloe Vera to soothe the skin and wear loose cotton clothing to avoid any skin irritation. Avoid anything that would cause more heat to be present in the treatment area, hot showers, saunas, exercise etc for 24-48hrs. 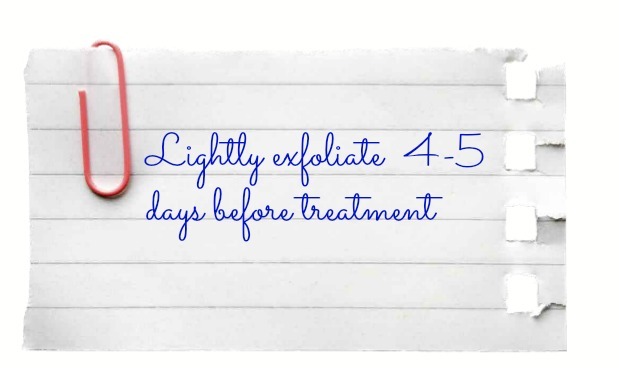 Lightly exfoliate 4-5 days after treatment to help treated hairs shed out of the skin. TEN Most importantly, relax. Laser can be a pretty daunting experience, but it doesn’t need to be, it’s the unknown that prevents people from having treatment. They generally have visions of something that is very painful and embarrassing but it’s really not like that at all. Because hair removal is all we specialise in, we know it inside and out and there is nothing we haven’t seen before. We laser everywhere from toes to tummys and bikinis to bums (yes we all have hair here, you’re not the only one) and everywhere in between. If excess hair on any part of your body is making you feel self conscious you don’t have to live with it - it can be treated. 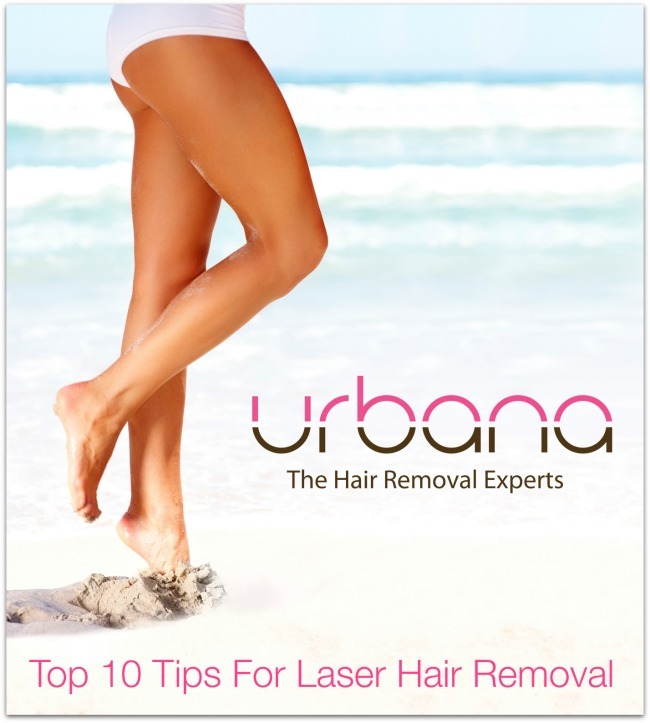 If you're looking for laser hair removal in Dublin contact Urbana on 01 6351616 or visit the website www.urbana.ie – or, if you’re feeling lucky, pop your details into the widget below! Urbana opened a clinic in Drogheda 6mths ago & Ivan tell you that it made me dance a happy jig. Excellent service with super staff & super clean facilities. Clearly that should read "I can". This is something I've never tried, luckily I'm not that hairy hehe!!!! This is so relevant to my interests, I'm booking in for a consult with Urbana-very keen to try it out! My rogue chin hairs and I need to win this. I can't keep pretending I'm just thoughtful and pensive when I'm actually just stroking my chin to find new hairs... like a wizard! Hair removal can be such a pain, I've tried shaving, waxing and creams and so far creams are the only thing that works for me, Would love to try Laser hair removal! I would love to try laser removal so much! Sounds like it gives the best results. I would love to get my legs done but the hair is completely colourless. Thanks for this post - really useful info! Wouldn't it be wonderful to finally be able to go out in a dress without wearing tights to hide leg hair? That would be eating indeed! Would love to try laser - bleaching is a pain and such hassle! No wouldnt this be fantastic! Have had laser under my arms and it has made such a difference. Would love to get my legs done. Urbana is fantastic. They're all so welcoming and helpful and make some good suggestions. I've got my bikini and underarm done (with just 1 or 2 more sessions left) and I've just started my top lip. It barely hurts. Most treatments I don't even notice it! I would love to have laser treatment on my covered up bits. This may be my chance! Wow this would be awesome, always wanted to try laser hair removal but I just never got around to it because of the price!! I've been looking for somewhere reputable to give this a go! Urbana sounds perfect! Always wanted to try it, if i win i will certainly give it a go! Who won?!! I've been dying to get back to Urbana but I've been so broke lately! Paula is brilliant at making you feel at ease in that place! She explains it all to you your first time. It's definitely a great approach!